Modern, cosy cottage Poldi. 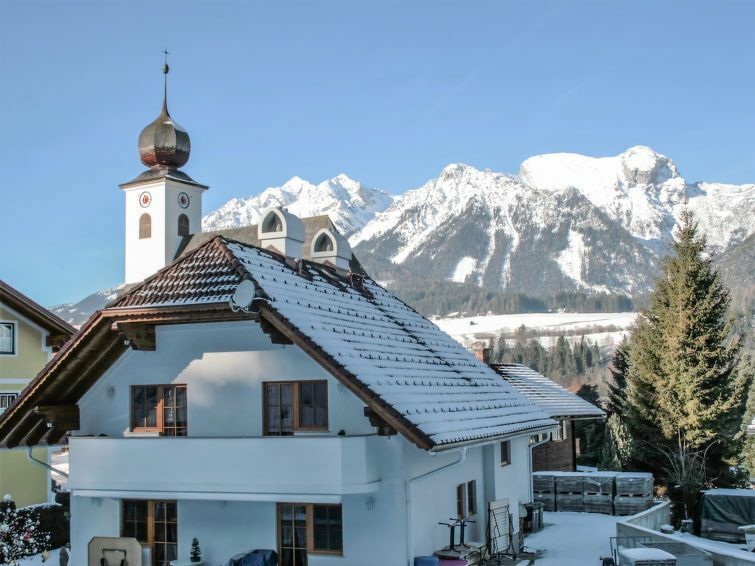 In the district of Oberhaus, in a quiet, sunny position, 1.5 km from the skiing area. For shared use: beautiful garden to relax. Patio, arbour, garden furniture, barbecue. In the house: storage room for bicycles, storage room for skis. Bread roll service. Parking at the house. Grocery 1.5 km, restaurant 500 m, thermal baths Therme Amadé 29 km, bathing lake Aich 7 km. Golf course (18 hole) 800 m, ski lift 1.2 km, gondola lift 2.5 km, ski bus stop 100 m, ski school 1.2 km, cross country ski track 500 m. Well-known ski regions can easily be reached: Hauser Kaibling 1.5 km, Planet Planai 5 km. Hiking paths: Schafbauern Almen am Hauser Kaibling, Dachstein 12 km. Please note: suitable for families. Ski bus (free of charge). The owner lives in the same residence.